Myself and Madonna have a long and illustrious history, it must have been around the time of True Blue that Madonna came into my life. I remember my first ever copy of Smash Hits I convinced my Dad to buy me had Madonna on the cover (wasn't Smash Hits deadly). I was obsessed with Madonna. Everything she said was taken as word from the Messiah, she could do no wrong. I used to "play" Madonna in the school yard with my bestie - I would be Madonna from Desperately Seeking Susan and she would be Madonna from Who's that Girl (she had short hair, it made sense at the time) - of course that was in between reenacting Salt N Pepa Push it. We would get up to crazy adventures (obviously not crazy at all 'cause we were still in the school yard) all the while jealous of the American girls who could get Madonna clothes and all we had were our communion gloves and some neon socks. We both wanted to take Madonna as our confirmation names - which we were not allowed (boo hiss I could have been so cool) and were so jealous when we heard of somebody's cousin who was allowed to have Madonna as a confirmation name. I was so excited when Vogue came out - I rushed home with my brand new Smash Hits and the song words which were printed on the picture above. I showed my dad who said "Jaysus I know what her chest looks like better than I know my own" - sheesh Dad. 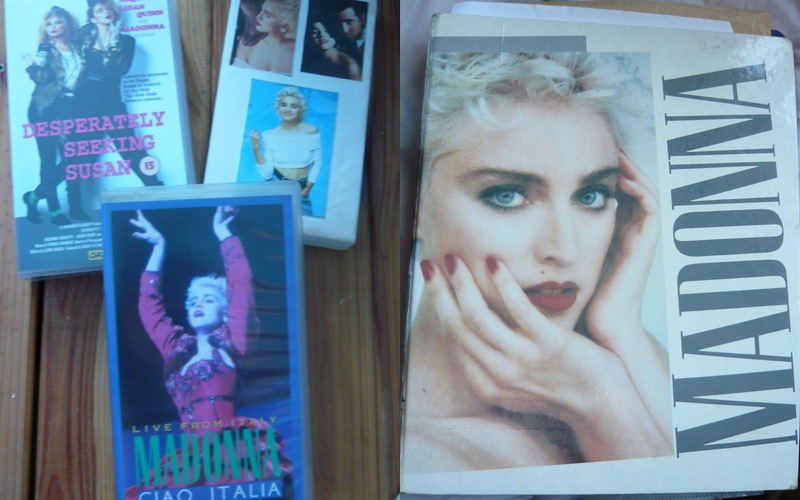 Of course I am sure my Dad was delighted that his daughter spent hours singing all of Madonna's songs and constantly having her tour videos on the TV. Slowly the walls were covered with Madonna posters and pictures taken from magazines and papers. I had a Who's that Girl tour T shirt (probably about 2 years after the tour - what can I say we used to be a bit behind in Ireland) that I lived in cause I thought I was so cool. 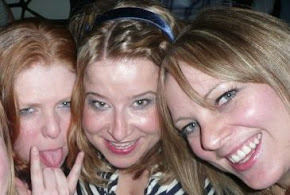 I knew every song from the tour videos, every dance move, all I was waiting for was to see Madonna in the flesh. It took a long time for that to happen - Slane 2004 to be exact and it was quite honestly a very different experience than any other Slane concert. Madonna puts on an amazing show and it was worth the wait - even if her support was a nearly naked Ziggy Pop in see through plastic trousers who kept trying to take the trousers off ("Put them back on" the crowed roared). I thought because Madonna finally played Ireland that we were on her radar but alas it was not to be (it turned out that Guy Ritchie went missing for a few days in Ireland and maybe that turned Madge off - isn't it slightly refreshing that a powerhouse like Madonna can have man troubles like her fella going missing to the pub?). Anybody that knows me a long time will always remember what a huge Madonna fan I was/am and it's funny that when they see Madonna they think of me. To be honest I felt slightly abandoned by Madonna after Slane, Ireland was missing from her next tours. When I heard that Madonna was coming to the Aviva stadium this July I had mixed feelings - was she just going to waltz back into my life without so much as hi? I knew I couldn't miss the concert, if you have ever seen a Madonna concert you will know it's more of a show (Lady GaGa didn't invent extravagant shows) and even if it meant I would crowd surf the gays by myself I would be there (but buy the cheapest tickets - I mean there is a recession and the tickets are very expensive). This year is really Madonna's year - not only is she launching a huge tour and has a new album MDNA but she has also released a perfume - which is why I am rambling on. What does Madonna have to say about her perfume and why she chose to design one? “There is something primal and mystical about the sense of smell. It connects us to memory, nostalgia and the ability to dream and fantasize. If you know anything about Madonna you will know that the loss of her mother affected her greatly and there is something very sweet and nostalgic about her designing her fragrance around one her mother wore. The fragrance itself was designed with Stephen Nilsen of Givaudan and Madonna ever the perfectionist went through over 200 different variants before finding Truth or Dare (and wrecking his head in the process I am sure - although I was not there I imagine she was very bossy). The strongest scents I get are the Tuberose and Gardenia (she obviously didn't use hydrangeas cause she simply loathes hydrangeas). It is a surprisingly classic warm floral scent. I am surprised at how feminine and ladylike a fragrance it is especially when she called it Truth or Dare which is also the name of her documentary which was around her most provocative period. Of course Madonna being the queen of reinvention can pretty much decide who she is going to be on a given day but chooses to have a signature scent that reminds her of her mother - classic and floral. There is something about this scent that makes Madonna very human as opposed to the almost surreal superhuman she represents to most of us. The bottle itself (which was designed by Fabian Baron in collaboration with Madonna ) is sleek white and regal in appearance. 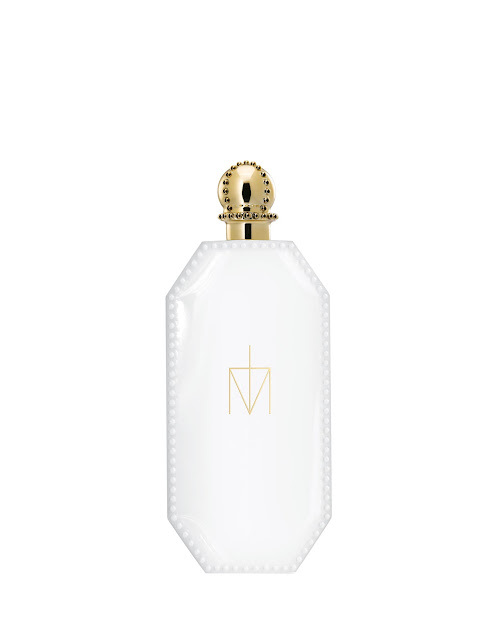 I think the bottle is almost like a religious icon, sleek white and crowned with a gold cap (it will be like having a little pope sitting on your dressing table). This is a must have for any Madonna fan (if you not a fan go and smell it you will be suprised). Madonna Truth or Dare is available now and costs €31.81 for 30ml (50ml is €40.66 and 75ml is €53.37).